The iPad continues to hold the number one spot in the tablet market almost four years after its inception, and although the market is now awash with devices offering ‘proper’ processors and ultrabook-esque form factors, it would seem that nothing can stop the Apple iPad. Many, especially Microsoft, have suggested that the limited nature of the ecosystem is to the detriment of the user, besetting iPad owners with restrictions to which they cannot get the most out of their slate. But whatever this may be, it doesn’t appear to be affecting the work or skills of Kyle Lambert, who has created a true masterpiece of a finger painting using nothing more than his iPad Air. 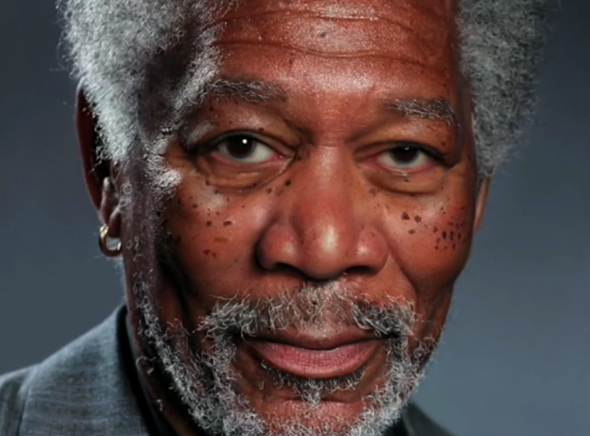 Lambert decided to create a portrait of the actor Morgan Freeman, and the finished article looks very much like a photo of the Shawshank Redemption star. It’s only when you watch the slowed down video of the entire process that you see how meticulously and skillfully he created the many layers to wind up with the photo-esque end product, and even though I’ve had the pleasure of seeing some of Lambert’s work in the past, this is the unequivocal topper by a huge margin. Loads of props to the artist for this one. It’s hard to fathom the fact that there was absolutely no kind of trickery involved in the making of this portrait, and even though some have questioned the power of iOS versus OS X when it comes to creative projects, I think the video below throws in a big shout in favor of Apple’s mobile platform. With no precision ‘S Pen’ like that of the Galaxy Note tablet and smartphones, and not even an official stylus, the iPad is often overlooked as a creative device, but as you can see, it’s just as much about who’s in control of the brush. Without further ado, the video is embedded below for your viewing pleasure. Every little detail, gray hair, line, wrinkle and freckle of Freeman’s face has been carefully preserved and reproduced, while every teensy angle of light and shading has also been placed with absolute precision. Amazing, right? We’re certainly looking forward to seeing with what Lambert comes up with next time he decides to fire up his iPad.